Ankle sprain, generally is an injury caused in the ligaments which connects the bones of the ankle, foot as well as the lower leg. It is comprised of two different types, like an inversion injury, where the ankle turns outward and foot twists inward, and the other is eversion injury, where the ankle turns inward and foot rolls outward. The inversion injury is generally the common cause for ankle sprain. An ankle sprain is basically regarded as one of the most common injury caused while performing in sports. Start this by standing on small step. Then, take one of the leg backward by touching the foot on floor, then further push with the help of forefoot in order to move it in backward direction on the step. Change the legs. 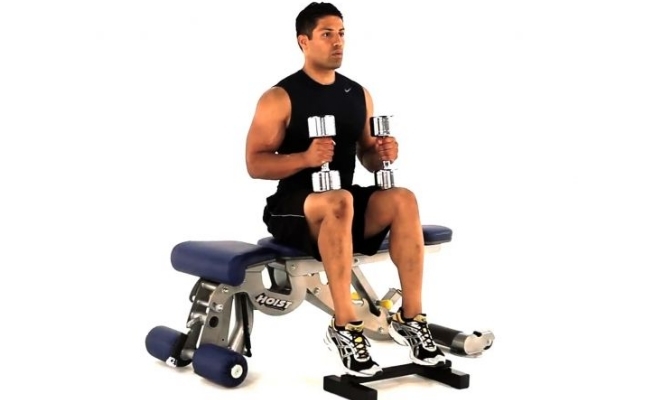 This exercise can further be increased when performed on a much higher step or else at a much faster speed. This exercise, known as the walking calf raise helps in strengthening the muscles of the calf as well as helps in improving the balance on the ankle. To start this, keep one of the foot in the front and then start raising up on the tip of the toes. Try to swing the leg at the back in forward direction and then raise up to the toes once again. Try to repeat by walking all around the room. Sit on the chair with the knees bent, the foot that is injured is laid flat on to the ground. Start lifting the heel off from the ground as much as possible, until much excess pain is not felt with the grounded toes. Then, try to relax the foot once again and try to do this exercise at least 15-20 times twice a day. Sit on the chair with the foot that is injured totally flat on ground. Keep the heel fixed on to the ground firmly and try moving the foot towards the left most direction first, then return to center and again go to the right most direction as if trying to make sweeping movements. Try doing this at least 20-25 times twice a day. Start this exercise by reverse the stretch position, then put the foot that is injured in the front of the one that is uninjured. Then bend knee backwards and lean on to the wall and not putting any weight on to the front leg. The heels must be kept firmly on to the ground and the feet stretched in lower part of the shin. Try to hold this position for at least 30-35 seconds and then repeat this 10 times. The ankle is basically a joint that bears the weight at the place in which the three bones of the body meet that is the tibia as well as fibula comprised of the lower leg and then the talus belonging to the foot that sits on the top of calcaneus (the heel bone). The ankle’s ligaments are attached bone to bone through the origins and their insertions in the ankle. Hence, when these ankle ligaments gets injured due to any reason basically while performing sports, it will automatically affect the movement, stability and balance of an individual.